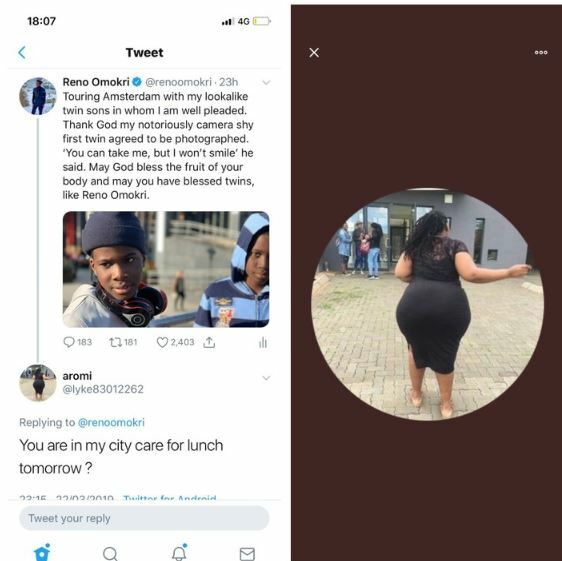 Former aide and PDP popular ranting machine, Reno Omokri replies massive backside woman who invited him for lunch in her city in Holland. Whether it is food eaten on the table or elsewhere, I have enough food in my own home. Thank you very much. 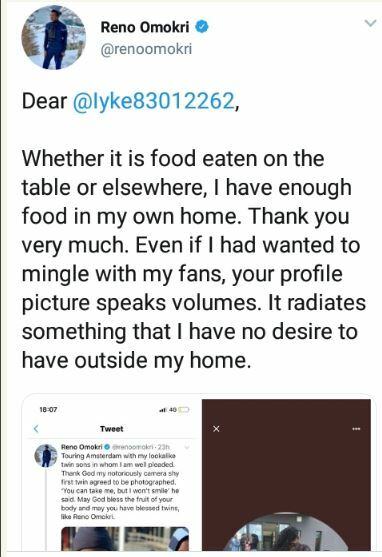 Even if I had wanted to mingle with my fans, your profile picture speaks volumes. It radiates something that I have no desire to have outside my home." His response has gone viral on social media with many making jokes out of it. A very wise answer indeed. She has nothing good to offer. Destiny destroyers!.